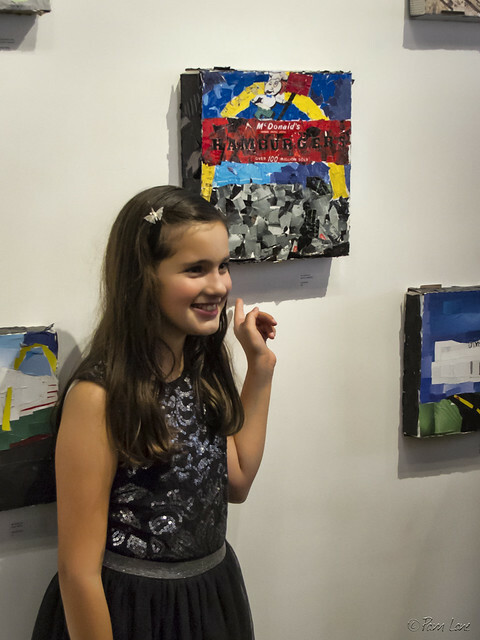 Bianca Herrera, a student at Old River Elementary School, is proudly posing for a picture next to her pizza box mosaic. Her mosaic of McDonald's is, according to the Stay Gallery where they were on display, one of "70 student mosaics on display today for the opening of our 2nd Annual Pizza Box Exhibition. 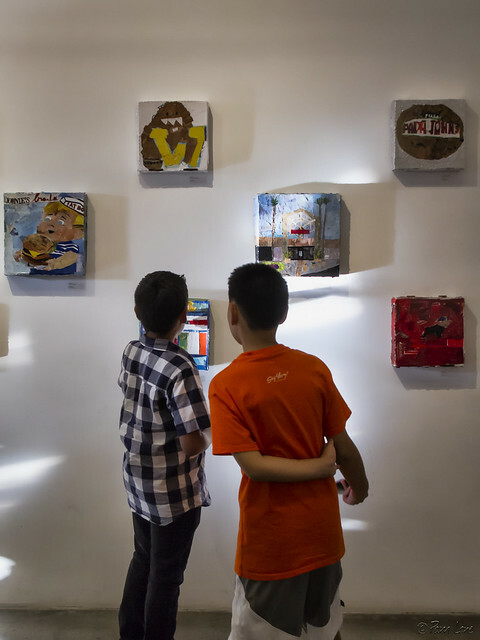 Using old magazines and newspapers and donated pizza boxes as their canvases, elementary school students interpreted their favorite Downey icons." 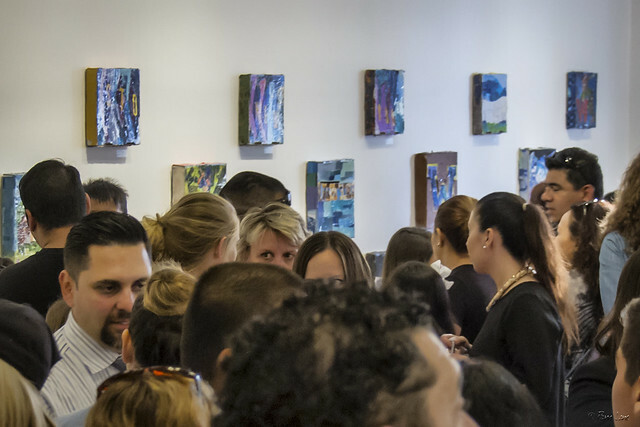 When I commented to Valentin Flores, the Stay Gallery director, that these mosaics were really good, he replied, "We have a lot of talent in our Downey kids." The exhibition was a hit with parents and students alike, and it was rare to see only a couple of kids in front of a section of the display.